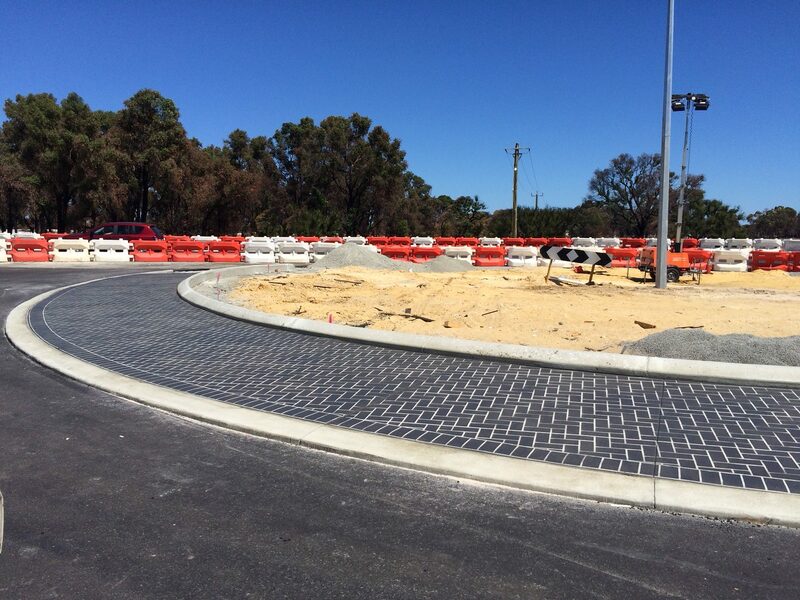 Roundabouts are one of the most common project requests we get here at Wespray on Paving. 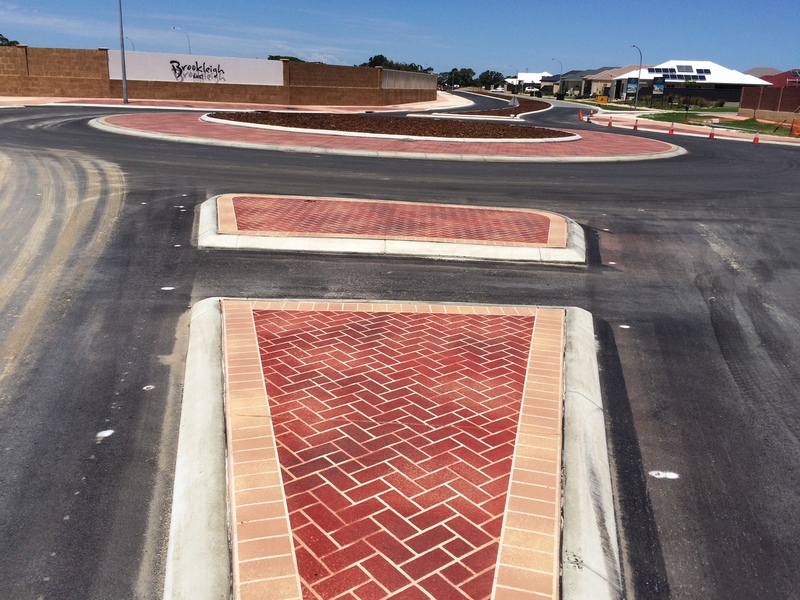 Over the years, we’ve built quite the reputation for completing roundabouts on schedule, to budget requirements, and to the highest possible quality standards. 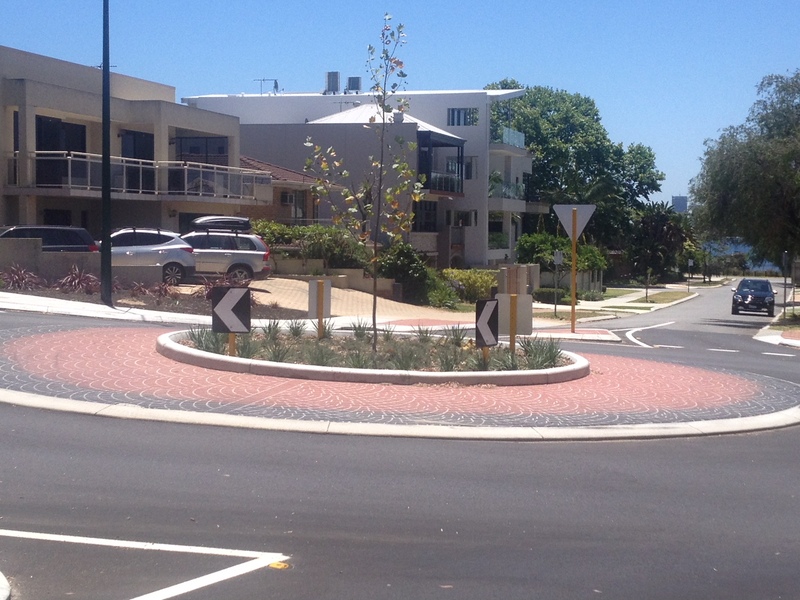 The below gallery of quality roundabouts is a testament to that reputation. 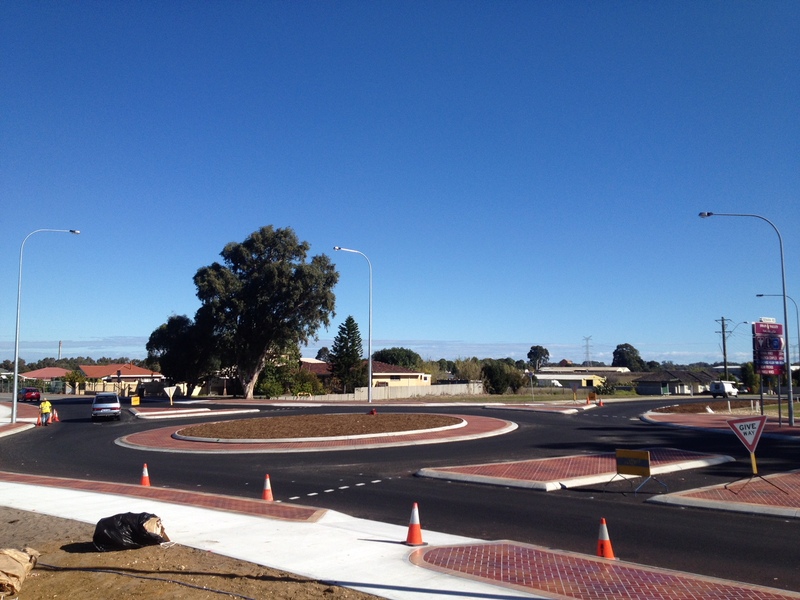 We’ve been invited by a number of local and city councils to assist with their new road development projects, where we’ve created everything from 400 square metre roundabouts on the newly realigned Berrigan Drive to a mammoth 750 square metre one in the industrial area of Hazelmere. 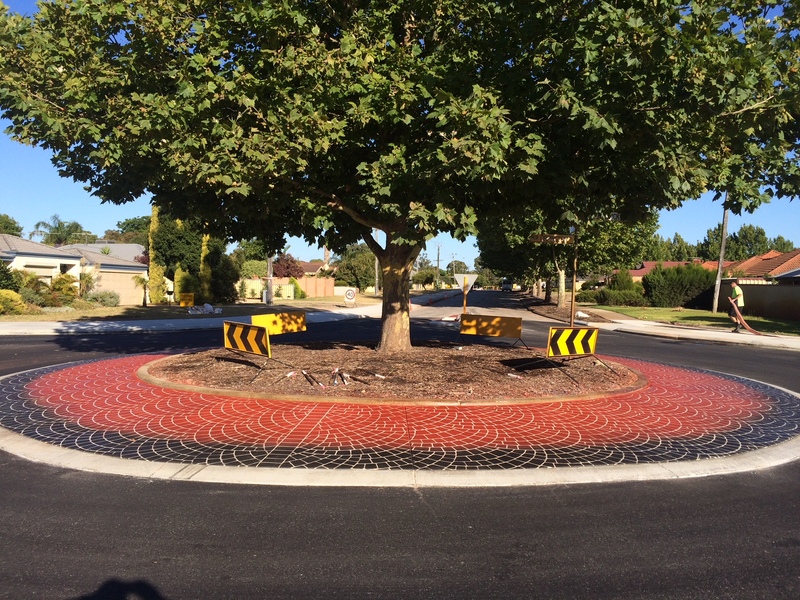 We can also customise our roundabout and spray on paving designs, so you’re not limited to just traditional pavement designs. There are 30 stencils that come standard, although only five or six of these are favoured by councils. However, custom stencils can also be manufactured to suit your specifications. The available stencil designs can be found here. 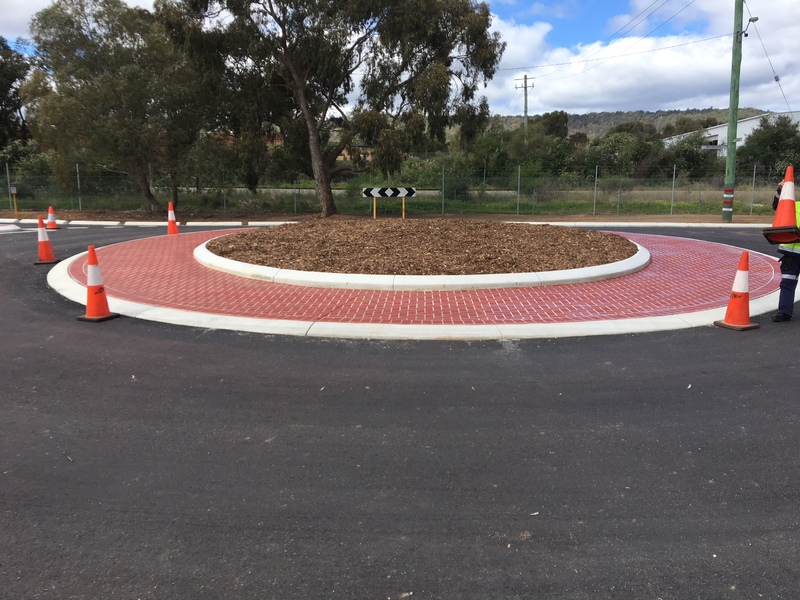 Our commercial resurfacing capabilities are immense, and our industry knowledge and capabilities can be utilised in both commercial, residential and government situations. From walkways to driveways, and everything in between, regardless of your concrete resurfacing needs, we’re equipped to help! 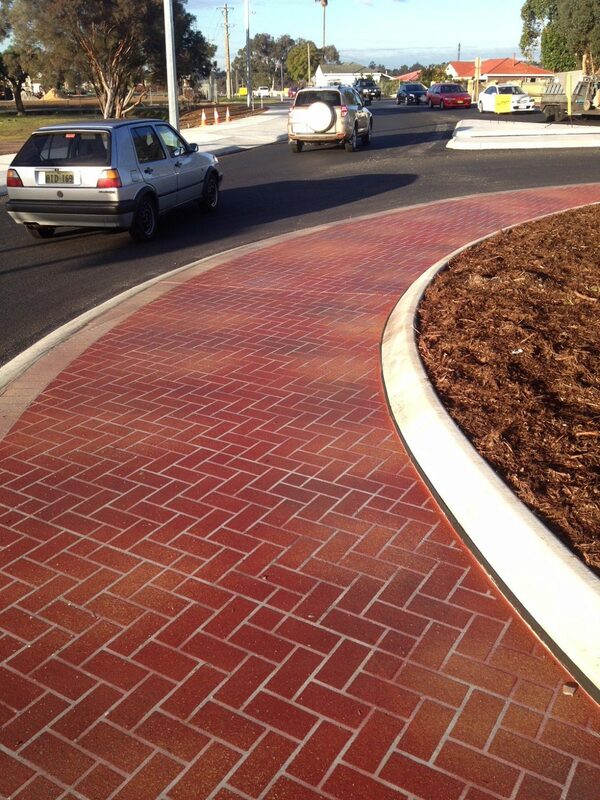 To learn more about our decorative concrete resurfacing services in Perth, contact the guys at Wespray on Paving today!